A new year is upon us and I am looking ahead with quite a bit of anticipation as this will be the first new year I will be bringing in without being pregnant or having a baby in my arms. In fact I think this will be the first time I will make it to midnight in about 5 years. But yes, as this season of pregnancy and babyhood is quickly diminishing its making way for a whole new way of life for us as a family, but mostly for me. I know that God has a new thing for me next year, something different from what I’ve been doing. But when I think of the possibilities ahead it seems so vast that I don’t know where to begin. This actually happens to me with a lot of things – tidying up a very messy room, packing, organising, cleaning up large quantities of spilt milk – otherwise known as analysis paralysis. And so I always have to write a list. I have a cute little purple notebook that my husband stuck into my Christmas stocking so that I can make my endless lists without losing them under desks, pillows, sofas or at the bottom of my handbag – and let’s be honest ladies, we have no idea what’s really lost down there. So as I’ve been thinking and praying about what’s ahead in the new year I started to write a little list of things to have faith for, strive for and determine to change in my life. Top of my list is to read through the Bible in one year. From the very beginning to the very end in one calendar year. I would have loved to have read the Bible chronologically as well, but I think I’ll save that for another year. I do most of my bible reading from my Bible Gateway app soit’s always to hand and can read on the go. I’m pretty excited about this first resolution. I know that this will definitely be a challenge for me but also the most rewarding thing I accomplish in the next year. Do you want to see what else is on my list? What’s on your new years resolutions list? Christmas was big, fun and hearty this year. With special guests from the states with us, Ken and Janie Garber, we totalled a number of 14 on Christmas day. With a ratio of 8 adults to 6 children there were equal amounts of chaos and order to make the whole day a great success. I enjoyed every smile, laugh and loving tear with each present being opened. It truly was a love filled day. We started off on Christmas Eve at church with a candle procession from the kids and a nativity with two live donkeys. Christmas day started nice and early with a super scrummy breakfast of fresh cinnamon rolls (my one contribution to Christmas day food). The children then waited in the hallway shouting (let us in, let us in) as we got all cameras to the ready as we flung open the doors to the lounge and captured every eye-popping, jaw dropping expression from the children as they saw the presents. An absolutely priceless moment that we then bring to a simmer as we start by reading the nativity story. Wrapping presents until midnight and then waking up at 5 am to make fresh cinnabons was absolutely worth it. And I have to say a big thank you to my sister-in-law, Shelley, for diligently taking a lovely picture of our christmas tree with all the presents at 1 am on Christmas Eve and to Janie Garber for taking some lovely family pictures on the day. Everyone had a great time celebrating and enjoying all the blessings from having Jesus in our lives and I hope you did too. So here it is in pictures our Chesney/Cupido Christmas of 2013. I’ve been reading the ‘Christmas Story’ from Luke to remember what we’re celebrating this Christmas. My kids know this story so well, they’ve been in about 8 nativities and have been everything from a star to Mary. But I wanted to read through it in my adult bible and really take in what God did for us at Christmas. When we read the Christmas story it can really seem like it’s just that – a story. It’s full of so much wonder, awe, and the supernatural – from a virgin getting pregnant, a new star in the sky and angels appearing in people’s bedrooms – we’re only short a baby’s first laugh from it being a Tinkerbell adventure. But God knew before this universe was even created that he would have to send his only son, Jesus, to this earth to rescue us from ourselves. That is true love. He knew all that Jesus would suffer and he created us anyway. He knew we would continue doing wrong and evil, but he sent Jesus anyway. I am completely overwhelmed by the love of God as I remember the precious care he took at bringing his son into the world. Christmas is the biggest birthday party of the entire year. I want it to be the biggest celebration my kids experience. I’ve heard every point of view on Christmas, from paganism, to materialism, from greed to sin. But what did God do when his Son, Jesus, was born? He sent hosts (a crowd, a company) of angels to sing praises to the Shepherds. Can you even imagine that???? Seeing crowds of angels in the sky singing heavenly songs of praise! Wow. I better make Christmas a big deal if God made it a big deal. Sharing the love of Jesus with one another and remembering why Jesus was born and what he gave us through his life and death and resurrection all started at his birth. So let’s celebrate. God rejoices everyday all day. Lets rejoice! 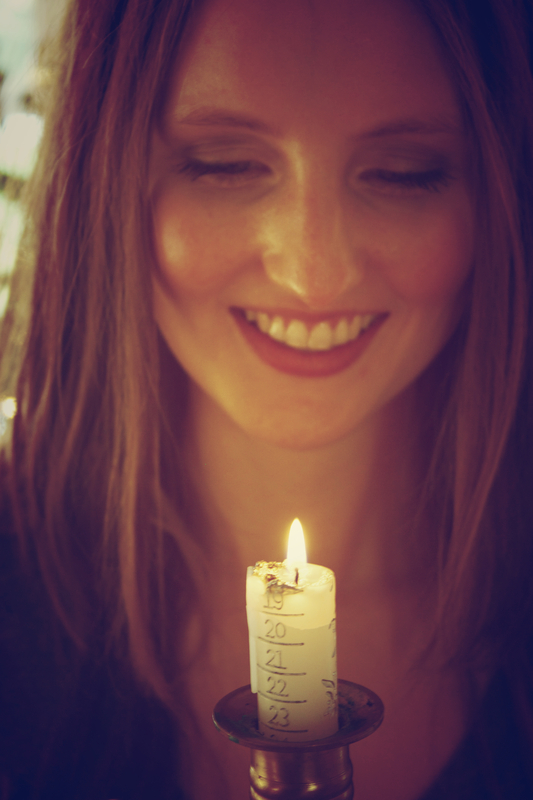 Let’s share love and grace and get excited about the awe and wonder of the birth of Jesus. Here’s a few things I’ve found that I thought might come in handy in our last week of Christmas prep. All the resources are free to use and the links are provided below. Let me know what you think. And may your days be merry and bright! With only a week and a half left until Christmas I have to say I have so far succeeded in maintaining a completely calm, peaceful and un-manic state of being. I have spent the month enjoying family, friends and church, watching my two oldest in their nativity at school, making lists, meal planning, writing christmas cards and doing absolutely no Christmas shopping! Every year I start the Christmas season with the same pep talk with my husband “we’re not spending a lot of money this Christmas”. And then by the middle of December we step onto the high street and suddenly our family and friends need absolutely everything in the shop windows! And since this has happened so consistently year after year we have finally taken a stand and not walked down the high street. In fact I’ve spent the least amount of money this month out of the entire year (I keep track of these things now). Do I feel shopping withdrawals, deprived, depressed, left-out or nervous about what we’re going to give people at Christmas?? Am I lying awake at night wondering what our friends and family will think of us for simply not buying them a gift and instead opting for something homemade or bought solely with Tesco vouchers? Absolutely not. Instead I am praising Jesus and rejoicing in His unfailing faithfulness for being my source and yes, the reason for the season. This Christmas I fully intend on spending all my time, energy and love on family and friends and celebrating in the amazing gift of salvation that all started with the birth of our saviour, Jesus. Here’s a peek at what I’ve been up to this month. I wrote that scripture this week on my chalkboard next to my bedroom door. Every morning I’ve woken up and seen those words. Every time I’ve had to walk out my bedroom door I’ve looked at it and remembered – don’t grow weary, don’t give up. It’s tough, I know it’s tough. It’s a long, hard battle to the finish line and sometimes we can’t even see where the finish line is. 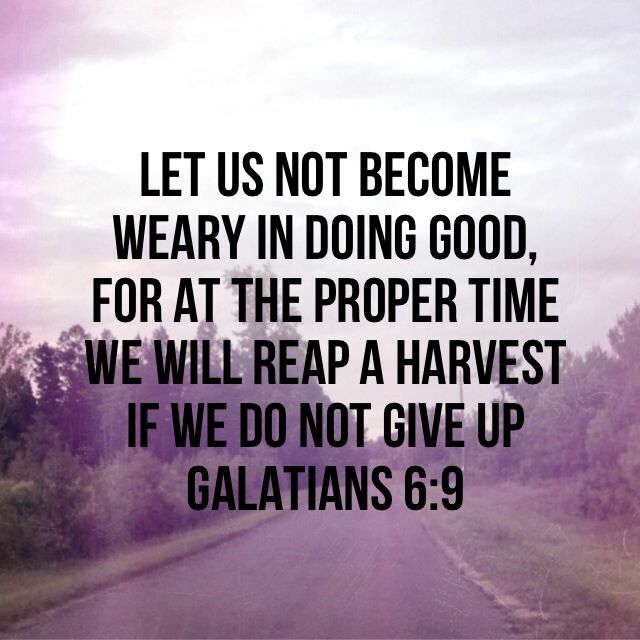 But don’t grow weary in doing good. Because if we don’t give up there’s a reward, a harvest. Oh what a beautiful harvest it will be. To see our own children growing up to love and serve Christ, loving their spouses, and sharing the love of salvation with their own children one day. This is not a short-term gain. This is a harvest that reaps for generations to come and echoes in eternity. When we’re knee-deep in smelly nappies, toddler tantrums, sleepless nights and shuttling our kids here, there and everywhere, we can sometimes forget that there’s any finish line at all. What are we working towards again? What’s the goal? Is there a goal? Yes, yes there is. Don’t lose sight and don’t give up. Keep going, roll up those sleeves and pull up those boots and keep on doing good. Don’t give up. You’re doing a good thing – holding a sick baby for hours on end praying for their health, blessing your kids with love as they go into school, feeding them with the last scraps of food made with love, praising them when they achieve and gently bringing correction when they fall short. You’re right in the midst of doing good. And if you feel like today you haven’t done a good job all it takes is a moment with God to receive forgiveness and find new hope in our situation. Don’t give up because you will reap a harvest, but in the proper time. And if you’re thinking ‘well now would be a really great time for a harvest God!’ Please, don’t give up. It will come. Stand in faith for this promise. Sow seeds of faith into your children and love your children in faith for their future. This promise reaches beyond today into eternity. Enter your email address to follow this blog and have new posts sent by email.